When the world is torn to pieces by a mysterious evil; two men, the unlikeliest of partners, must join together to save the heart of America. Grey works the forest all by his lonesome. It's been that way for as many years as he can count. He likes his peace and his quiet. He likes things the way they are, and the way they have always been. However, all that changes when Daniel comes along. A brash, egotistical fellow with his own rules and his own secrets. All the while, an evil force gains power. A dark, hungry evil, tucked away in the dark corners of the world, with only one mission -- to watch America burn. One fateful morning, the two men wake to find that America has changed forever. Fire rains from the sky, lightning strikes the ground, and earthquakes break open the land. America, as they know it, is no more. Yet in all the carnage, it seems Grey and Daniel are the only ones left alive. With nowhere to go and no sign of hope, the two men must forge through this new world. Together, they will take on the aftermath. Together, they will face down the evil that has blanketed the land. When all is lost, two men find hope. When all seems broken, two men must lean on each other to fix the wreckage. 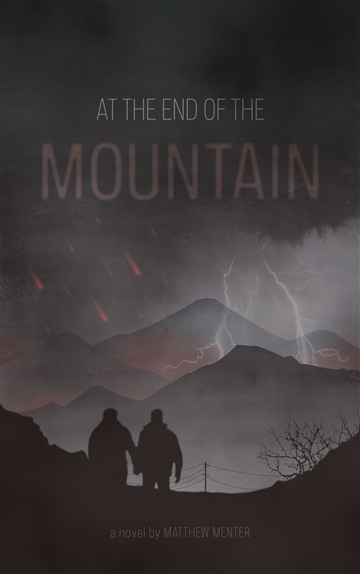 At the End of the Mountain tells the tale of two lumberjacks, at the end of the world, who forge a union that lasts a lifetime. Matthew is a LGBT sci-fi/fantasy author. When he is not writing novels, he is making films. He has worked on multiple documentaries, shorts, and commercials.